Wanted: One Logo, Memorable, Relevant… and Cheap? Some of the most fun our designers have is when clients want a logo created for a new medication or a new branch company. However, clients almost never realize how much logos really cost to develop – how much creative time, thought, and experimentation go into them. We’ve been asked to create logos for almost no money – and even to “just throw a logo in” for free! Could you recap why logos are so important and what goes into creating a great logo? Logos need to look great on a billboard and a postage stamp, and at every size in between. Since no company can “own” a color (think about red: Coca-Cola, Stouffers, CNN, Canon, YouTube and many more use the color), a great “design mark” is imperative. Rumor has it that the first logo proposed for Apple was a drawing of Isaac Newton under and apple tree, about to discover the law of gravity. Steve Jobs rejected it as too complex. The fewer moving pieces, the better. Customers appreciate clean designs, and for that reason, most brands want to present a simple aesthetic that’s easy for consumers to digest. Your logo will communicate to consumers about your brand – its purpose, its focus, its mission – so you need to ensure that its design fits your company’s overall message. If you’re starting a new company, put some serious thought into your brand’s key characteristics and how you want to convey them in your logo. Quick! What’s Nike’s logo? How about Adidas? Bet you were better able to recall Nike’s. Memorability is the quality that makes your logo easy for customers to recall, possibly even leading to repeat business. Your logo should help customers remember that you exist and what you stand for. Trying to create a logo on your own may seem like a great way to avoid the high costs of going to a professional design firm, which can be quite expensive. Remember the old adage, though: “you get what you pay for.” A homemade logo will look like a homemade logo. 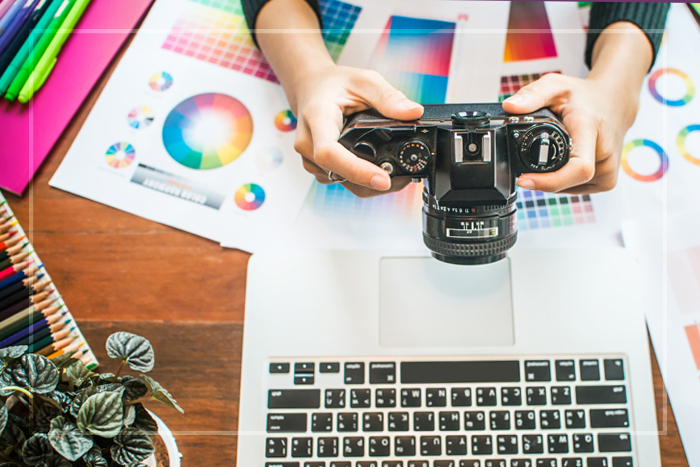 Even if you have a good eye for color and a sense of what you want your logo to look like, you should still consult a professional designer. They know whether or not a logo design will transfer easily into print or onto a sign, while you might come up with a beautiful design that can’t be transferred or would cost too much to be printed. They will also conduct multiple rounds of exploration and revision before arriving at the top contenders for your company’s logo. Your logo is the foundation for all your promotional materials, so this is one area where spending a little more now really pays off later. If the cost still seems exorbitant, remember that a good logo should last at least ten years. If you amortize the cost over a ten-year period, it doesn’t seem so bad. If you’d like to discuss logo design – or any other way we might be able to help your business grow – feel free to reach out to us at Xavier Creative House via phone, email, or social media. We’d love to connect! References: 1. https://www.stephaniehellwig.com/8-reasons-invest-professional-logo-design/. Accessed August 20, 2018. 2. https://www.entrepreneur.com/article/241956. Accessed August 20, 2018.